Kidzania Singapore is located at 31 Beach View, #01-01/02, 098008 in Resorts World Sentosa Beach Station. To get here alight at Harbourfront station of North-East Line and/or Circle Line, take Exit E walk to Sentosa station at the top-most floor of Vivo City mall. Board the Sentosa Express train for 4 SGD, you can use an EZ Link card if you have one, alight at Beach station and follow the signs going to Palawan Kidz City. Ticket prices are 58 SGD for children 4-17 years old, 35 SGD for adult, 25 SGD for toddler 2-3 years old and senior 60 years old and above. Discount will be given to those who buy their ticket online. Operating hours is 10am to 5pm daily. Check their website for promotions and other offers. 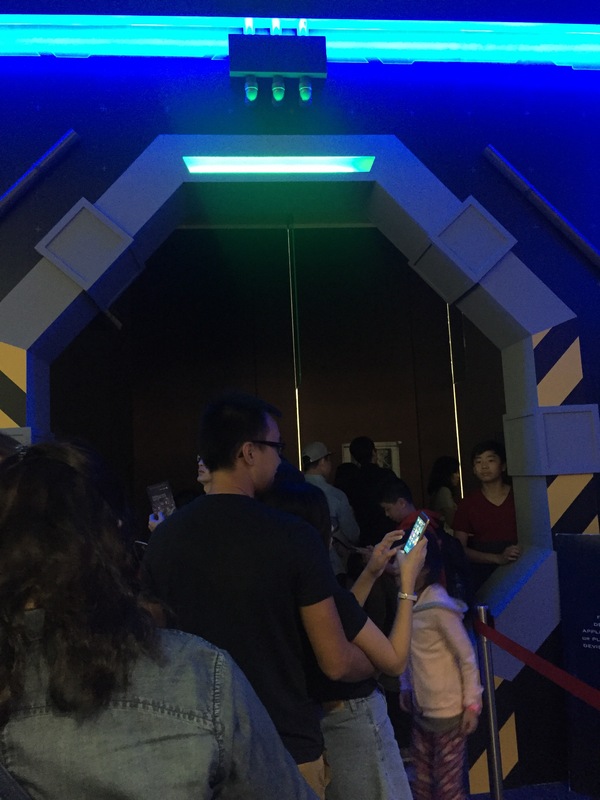 I would highly recommended to buy the ticket online and come early as the queue on some activities takes an hour or two of waiting time. Alive Museum is located at 3 Temasek Boulevard, #03-372 Suntec City Mall Tower 4, Suntec City, Singapore 038983. As one can guess, it is a 3D museum! Alight at Promenade station of Downtown Line and/or Circle Line, take Exit C to Suntec City mall and go up to the 3rd floor of the mall to get to the museum. Admission fees are 25 SGD for Adults and 20 SGD for Children 3-12 years old. Package for 2 Adults and 1 Child is 60 SGD. The museum is open from 10am to 10pm daily with the last admission at 9pm. Visit their website to check for promotions and other offers. In my opinion, we had more fun here than at the Trick Eye Museum in Sentosa maybe because it’s bigger. Singapore Zoo formerly known as the Singapore Zoological Gardens and commonly known locally as the Mandai Zoo, occupies 28 hectares on the margins of Upper Seletar Reservoir within Singapore’s heavily forested central catchment area according to Wikipedia. It is located at 80 Mandai Lake Road Singapore, 729826. Great for family recreation just don’t forget to bring hats, towels, waters and other essentials. Best to come earlier to fully enjoy the zoo, since we came in late in the afternoon most of the animals were already resting. Based on the map, it will definitely take a day to visit the whole zoo not to mention other shows and activities happening inside. There is no nearest MRT station in the area so I would recommend to take a cab/taxi to get here, fare would be 20-30 SGD depends on your location. 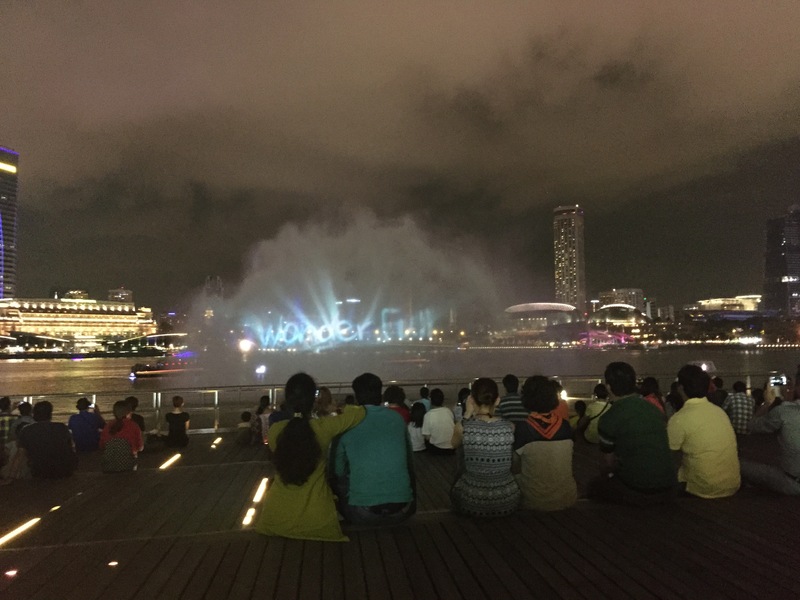 They however do have the Singapore Attraction Express that provides Direct Express Bus Services to and from most hotels and various locations in the city and Singapore Zoo. Check your hotel if they have this service. Admission fees are 33 SGD for Adults, 22 SGD for children 3-12 years of age and 15 SGD for Senior Citizens. Enjoy FREE admission to the Zoo 7 days from your birthday when you enter with a paying guest as of August 2016. Zoo operating hours from 8:30am to 6pm. Ticketing counter operating hours from 8:30am to 5:30pm. From Monday till Sunday. 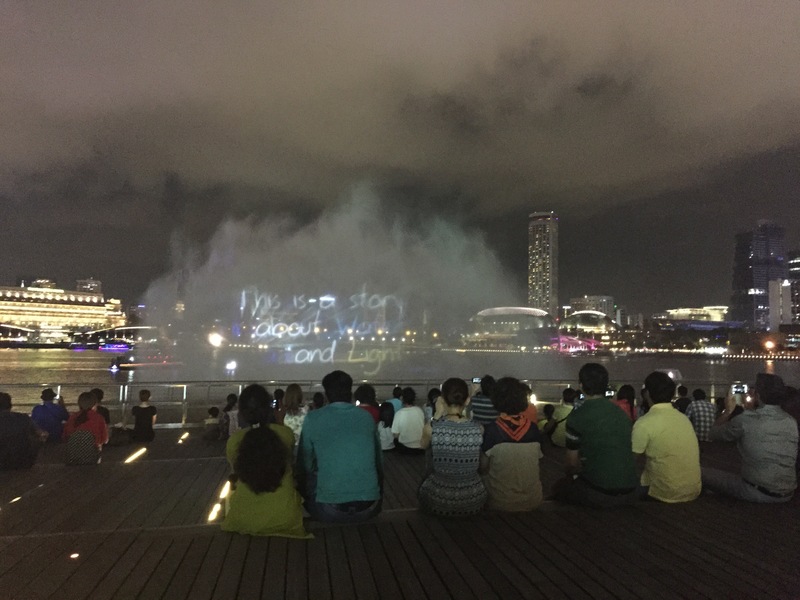 One of the things you can do when in Singapore is to watch the Light & Water show brought to us by Marina Bay Sands at the Event Plaza at the Promenade. I did enjoy the 13-15 minute show of light and water synced with the sound and music. I already watched it twice actually, but the story is vague for me. If they would think of a more suitable concept then, this show will be truly world-class.